Roof Trusses are a core product in our range and consequently we have vast experience in designing, specifying and supplying all types of trusses (Fink Truss, Attic Truss, Raised Tie Truss etc.) 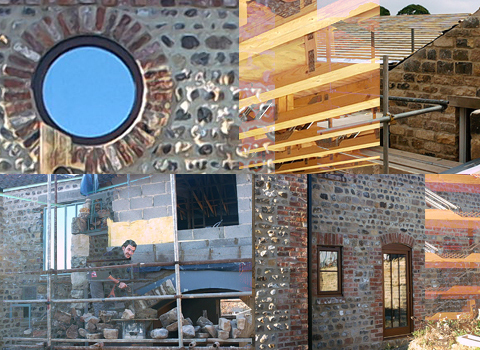 for projects ranging from the straight forward new build to the more complex barn conversions and extensions matching into existing roofs. We use architects plans and/or consultation with the customer to produce an initial design concept. This is used by one or more of our manufacturers to produce a structural design from which we provide a quotation, usually within 2 working days of being introduced to the project. Prior to proceeding with any order we will conduct a comprehensive site survey at no additional cost. We are able to supply load calculations for any of our roof truss systems again at no additional cost.